American banker Robert Sarver has pulled out of takeover talks with Rangers after his second offer for the club was rejected. The 53-year-old had offered £20m for a majority stake in the Championship club. "Clearly the current directors have a different path they want to go down," Sarver said in a statement. "I'm disappointed the Rangers board has rejected my revised offer, which addressed the club's immediate and long-term needs," added Sarver, who owns the Phoenix Suns basketball team. "I hope for the sake of the club and the fans, who've been very warm and supportive towards me, that it works out. I wish the club and fans the best of luck. "If they want my support in the future, then they only have to ask." Sarver's original £18m offer was turned down on 6 January, with the Rangers board insisting the bid undervalued the club. In rejecting Sarver's latest offer, a Rangers statement to the Stock Exchange emphasised the same problems it raised with the first offer. "The revised proposal by Mr Sarver was similar to his first proposal in the respect that it sought a placing of 100 million shares (to be priced at 20p in this proposal) which would require the approval of shareholders (at least a 75% majority) at a general meeting," it said. "The board of Rangers rejected the first proposal from Mr Sarver on 6 January on the basis that the board felt it unlikely that the approval of shareholders holding sufficient shares would be forthcoming." A survey of the views of "a number of major shareholders" on the revised proposal had suggested it too was unlikely to receive the backing required, the club added. As part of Sarver's £20m offer, he was willing to hand the club an emergency £6.5m loan to help alleviate their cash-flow problems. Sarver has owned the Phoenix Suns since 2004 and is chief executive officer of the Western Alliance Bancorporation. He says he was alerted to the situation at Ibrox by former Rangers left-back David Robertson, who now coaches his three sons. Craig Houston, spokesman for the Sons Of Struth fans group, thought that Sarver's bid was doomed because of recent share purchases by parties also interested in taking power at Ibrox. "I didn't think that the Sarver bid, whether it was a good bid or a bad bid for Rangers Football Club, was totally relevant in my eyes," he told BBC Scotland. "It just wasn't going to happen. "We're actually no further forward than we were at the turn of the new year. The situation remains the same. "There are men involved at boardroom level at Rangers that the majority of fans aren't happy with. "I'm not optimistic and I won't be until the day we have a full regime change at Ibrox." Rangers Q&A: What happens now? 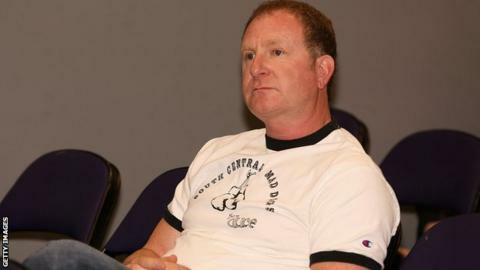 Read more on Rangers Q&A: What happens now after Robert Sarver ends interest?